According to the ministry, the parameters intend to achieve uniformity among technical specification of electrical items used by different metro rail systems for having standardised procurement and indigenisation. The Centre on Sunday issued mandatory parameters for electric components used in metro rail system like lifts, escalators, tunnel ventilation and environmental control system with an aim to achieve standardisation and indigenisation. 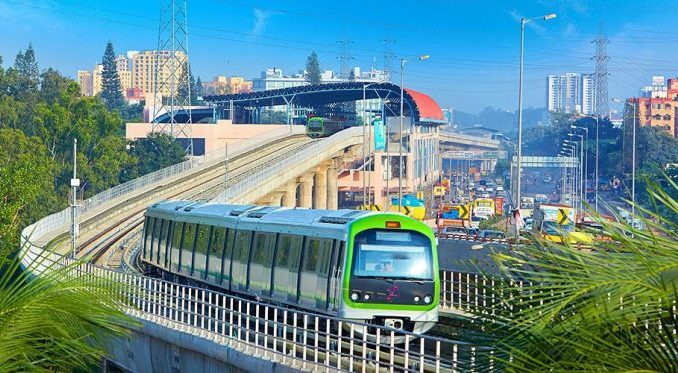 An official from the Housing and Urban Affairs Ministry said that if the state goverments seek Centre’s financial assistance in executing metro projects, they have to follow these parameters. The official said electrical systems used in metro rail systems include lifts, escalators, tunnel ventilation and environment control system, power supply and traction system and electrical and mechanical system (underground and elevated. “All state governments will have to follow these parameters if they want central government’s financial assistance in executing metro rail systems. “These specifications have been issued under ‘Make in India initiative’,” official also said. As per the ministry’s parameters, various types of lights depending on the location of installation should be provided at underground metro stations. “Distribution of the Lighting shall be such that up to 50 per cent of the lighting is fed by UPS System with a back-up of not less than 30 mins in case of power supply failure,” it stated. About lifts in metro rail system, it stated that minimum 13 passengers (1000 Kg) capacity should be preferred. “Procurement shall be governed by ensuring minimum 50 per cent local content in compliance to public procurement (Preference to Make in India),” it also stated. The ministry said environment control system (ECS) constitutes the air-conditioning system, ventilation system and station smoke management to ensure supply of fresh air for the physiological needs of passengers and authority staff under standardised specifications.